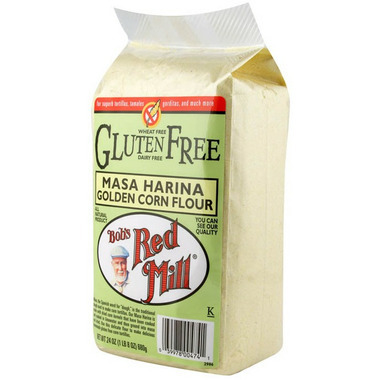 Bob's Red Mill Gluten Free Masa Harina Flour is used to make authentic Mexican tortillas. It is made from corn soaked in lime then dried before grinding. Fantastic product! It makes great tortillas. Worth the buy. When my local grocery store quit stocking Masa Harina, I looked high and low for Corn Flour. Once I discovered Well.Ca my troubles were over. Bobs Red Mill gluten free Masa is great for Tamales and Tortillas. 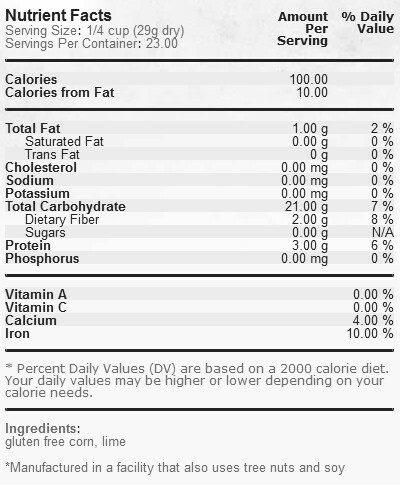 Will continue to order this product anytime. Like little bags of gold, love it. Perfect for tortillas, followed the recipe right on the back of the package (which just asks you to add water and salt to taste). Flattened the tortillas with a frying pan and then a rolling pin and everything went great. An actual tortilla press should yield even better results. Wonderful aroma. Excellent flavour. Handles well.